DIAMOND OLiD outlets contain OLiD pigtails based on FBG (Fibre Bragg Grating) technology, and are suitable for permanent installation in P2P fibre optic networks. Thanks to the FBG code written directly onto the fibre core, OLiD pigtails permit a clear optical line identification and, at the same time, no interference occurs with standard P2P wavelengths. 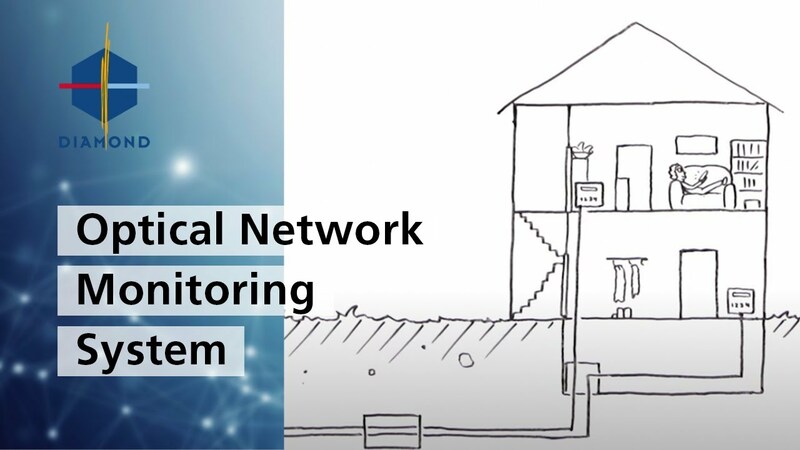 In a P2P network installation, this technology is used to identify the individual fibre lines and to manage the OLiD information using a network operator database. The information can be called up remotely using a DIAMOND OLiD interrogator. After installation, an acceptance test can be carried out where the correct and planned connection of all network sections can be verified. After line activation, the OLiD outlets ensure that network failures can be discovered quickly, and support the rectification of the fault. OLiD outlets with pigtails are also supplied with the DIAMOND FTTH box and thus allow significant time savings when installing FTTH. The FTTH box contains a plastic bobbin with the installation cable which has already been pre-assembled to the desired length and can be incorporated into the existing cable infrastructure with little effort required. The OLiD outlets are available with fibre codings from 1 to 48 and this coding diversity permits clear addressing for each FTTH customer. Thanks to this test system, entry into private spaces is no longer required for line accessibility and line allocation testing.